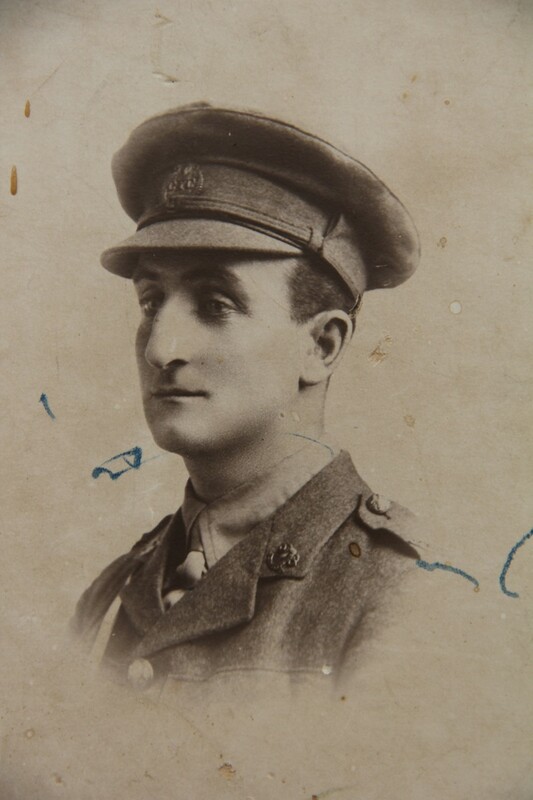 Gordon Harper as a second lieutenant in the Canterbury Mounted Rifles in 1916. Credit: Harper family. It is sometimes mistakenly believed that the August Offensive on Gallipoli ended with the loss of Chunuk Bair to the Turks on the 10th of August 1915. It should have been abandoned then, but it was not. For the unfortunate men of the New Zealand Mounted Rifles Brigade and the separate Otago Mounted Rifles Regiment, there was more death and destruction to come as General Sir Ian Hamilton tried to salvage something from the wreckage of his failed offensive, at Hill 60. After the bloodletting around Chunuk Bair in the first two weeks of August, the front lines on the peninsula had stabilized by the middle of the month; both sides were mentally and physically exhausted. The Anzac perimeter had been expanded to include the foothills of the Sari Bair Range, and the British landings at Suvla Bay had added a sizeable new area of the peninsula to British control. With a view to renewing the offensive, Hamilton wanted a more robust link between the two areas so that he could safely transfer forces between them. After a cleanout of failed commanders, Hamilton ordered British divisions to capture some hills north of Hill 60. To support the right flank of this attack, to improve communications between the Suvla Bay and Anzac beachheads, and to capture two wells, the Anzacs were ordered to capture Hill 60. Hill 60 (so-called because that was its height above sea level in meters) was, and still is, an unimpressive little knoll at the end of a long ridge snaking down from the Sari Bair Range that overlooked the route from Anzac Cove to Suvla Bay. ‘Except for a single stunted oak and a few mere bushes it was … bare of trees but clothed in dense, prickly scrub with a few patches of grass or stubble.’1 Little was known about the defences of Hill 60, partly because of the scrub, but also, typically, because close reconnaissance wasn’t thought to be necessary. British intelligence officers decided – wrongly – that there was a single crown of enemy trenches around its summit. In fact there were several concentric and interconnected rings of well-manned trenches, and communications trenches linking the hill to depth positions back towards the Sari Bair Ridge. The main approaches to Hill 60 were dominated by machine guns, well sited to fire across – in enfilade – the lines of any attacking force. To be captured, Hill 60 needed to be isolated from these depth positions to prevent it being reinforced during an assault, and the machine guns and artillery pieces further back needed to be suppressed. This required British artillery support, and lots of it. The first Hill 60 assault force, consisting of the 29th Indian and 4th Australian brigades, and 400 survivors from the Canterbury and Otago mounted rifles regiments (each reinforced with a platoon of Māori from the Pioneer Battalion), was assembled on 20 August. The New Zealanders, under the command of Brigadier-General Andrew Russell, were ordered to capture Hill 60 itself, while the other troops were to capture the wells and other ridges and hills. The attack was to commence on 21 August after a preliminary artillery bombardment of the enemy defences. The afternoon of Saturday 21 of August was hot and sunny and the assault troops waited in the shade as the supporting attacks began and ended – unsuccessfully. Their own supporting artillery bombardment also came and went. It was feeble and did little damage; all it really did was warn the Turks that an assault was imminent. Waiting in the thinned ranks of the South Island mounted rifles regiments that afternoon were two NZEF soldiers whose experiences at Hill 60 are representative of the whole: 7/516 Corporal Gordon Harper and 9/576 Trooper Garfield Jessop. Garfield Jessop, from Hope, near Nelson, enlisted into the Otago Mounted Rifles Regiment on the 9 August 1914, stating his age to be 20, his marital status ‘Single’ and his profession ‘Clerk’. At 162 cm tall and weighing just 60 kg, he looks like a boy, which is not surprising since he was really only 17 years old. His obvious youth led to him being assigned as an officer’s orderly and left behind in Egypt when his regiment went to Gallipoli in May 1915. He was even caught desperately trying to stow away on the troopship at Alexandria. When the Otago regimental commander was killed in August, Jessop and ‘his’ officer were finally sent to the peninsula. Right on time at 3.30 p.m. on 21 August the men leapt out of cover and raced forward across 700 metres of open ground towards Hill 60 – in broad daylight, with no effective covering fire, and against a forewarned enemy who was dug in and waiting for them up on Hill 60. Gordon Harper, who charged that day with his kid brother Robin, wrote ‘It is always rather a trying space waiting for the signal to jump out; and I could not help noticing Sergt. George Ferguson going round his men cracking jokes as we waited for the shells overhead to slacken, and allow us to advance. His body was the first we had to jump over as we left the parapet. His South African ribbons were still on his breast.3 About 100 metres of the first trench line were captured, and the Harper brothers quickly turned around a captured Maxim machine gun to help beat back Turkish counter-attacks. Flanking assault forces fared less well, with some wounded Australians being burnt to death after the brush around them caught fire. All that first night the New Zealanders clung on to their tiny foothold on the edge of Hill 60, fighting off relentless Turkish counter-attacks. The next day an inexperienced Australian battalion was sent in, in daylight, to extend the gains of the day before, but it was shot to pieces. That night the South Islanders were relieved by the mounted rifles regiments from Wellington and Auckland; out of the 400 South Islanders committed to the attack the day before, only 190 unwounded men walked away. Gordon Harper was shot during what he called the ‘grand battle’ of 22 August. His brother Robin carried him out of a trench under fire, over ground ‘where scores [of men] were being knocked over.’ Luckily for Gordon his wound was ‘quite simple and the bullet just missed all dangerous parts. It went in the base of my neck and came out at my shoulder.’4 Evacuated to England to recover, Gordon did not return to the peninsula. Robin was also wounded shortly afterwards. Another attempt to capture Hill 60 was ordered for 27 August. This time the entire New Zealand Mounted Rifles Brigade and the Otago Regiment were committed; in reality, it totaled less than half a regiment’s worth of mostly sick and wounded men. Once again the artillery preparation was inadequate, and Turkish bullets or shrapnel began killing or wounding men as soon as they moved forward at 5 p.m. The first line of Canterbury and Auckland mounted riflemen got into the first trench and laid into the Turks with bayonets, bombs (hand grenades) and rifle butts; the trenches were soon heaped with dead and dying men. The second line of men from the Wellington and Otago regiments leapt over their heads to attack the second trench line. Enemy resistance stiffened as Turkish reinforcements poured down the communications trenches from unmolested depth positions. Within a day the 119 officers and men of the Canterbury regiment were reduced to 18 survivors. During this day of fighting Trooper Garfield Jessop ‘was wounded and seemed to lose his head and was last seen running wildly in among the Turks.’5 Nothing could be done, and he presumably met his death on a Turkish bayonet. His body was not recovered. Jessop was initially listed as missing, but a Board of Inquiry in 1916 officially declared him ‘Missing, believed killed’. Young Garfield Jessop has no known grave. Gordon Harper survived Gallipoli, but not the war; he was killed in action in Egypt on 12 August 1916. Next time you pause to remember the battles of Gallipoli, spare a thought for the unsung heroes of the forgotten battle for Hill 60; they deserve to be remembered too. 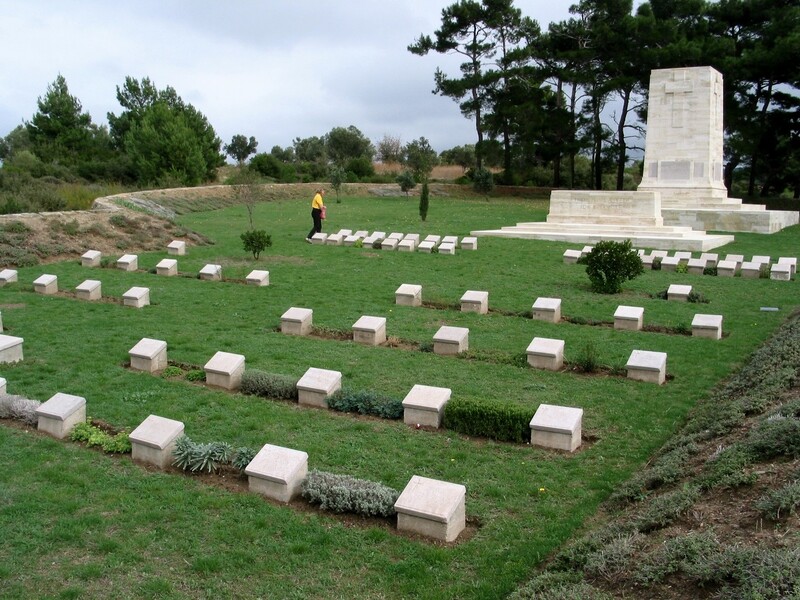 If you go to Gallipoli, take the time to lay a poppy or two on the Kiwi graves and at the New Zealand Memorial in the Hill 60 Cemetery; the New Zealanders named there would thank you if they could. The Hill 60 Commonwealth War Graves Commission Cemetery. Credit: Terry Kinloch. Bean, C.E.W., The Official History of Australia in the War of 1914-1918, Volume 2, The Story of ANZAC from 4 May 1915, to the Evacuation of the Gallipoli Peninsula, Angus & Robertson, Sydney, 1924, p.726. Phillips, Jock (ed. ), Brothers in Arms: Gordon & Robin Harper in the Great War, NZHistoryJock, 2015. Gordon Harper letter dated 1 March 1916 in Brothers in Arms, p.138. Sergeant George Ferguson had served in South Africa at the age of 18. He was survived by his wife and three small sons. Colonist, 23 September 1915, p.3. Gordon Harper letter dated 23 August 1915 in Brothers in Arms, pp.92-93. Mackay, Don (ed. ), The Troopers’ Tale: the History of the Otago Mounted Rifles, Turnbull Ross Publishing, Dunedin, 2012, p.193.